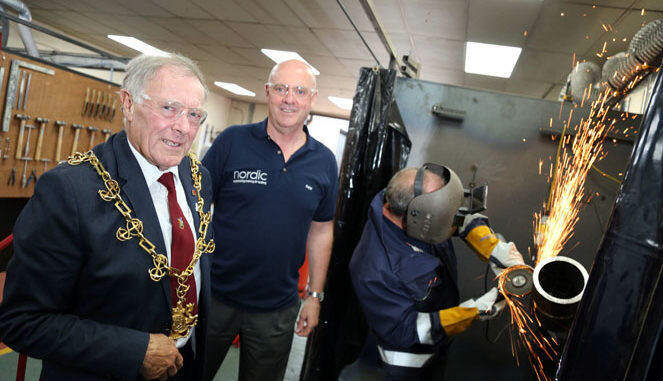 To say that sparks flew when businessman Peter Robinson met welding expert Ian Henderson-Thynne might be a slight exaggeration. But there was certainly a meeting of minds. The two men come from very different backgrounds, but together they intend to plug what they believe is a serious training gap for the Teesside engineering community. Peter, from Darlington, is a former County Durham Police physical training and self-defence instructor who has built up one of the country’s leading anti-graffiti and industrial cleaning businesses, Nordic Products and Services. 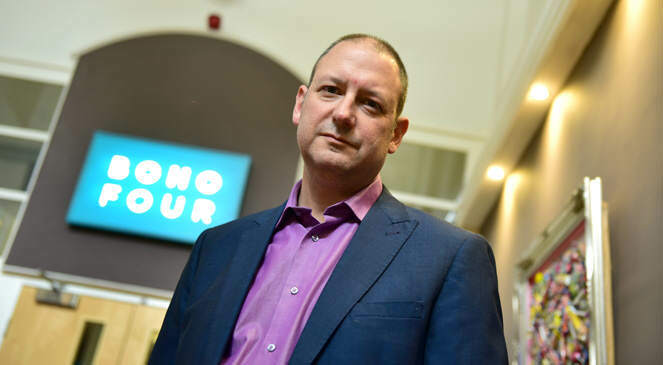 Middlesbrough-born Ian, meanwhile, possesses a wealth of engineering experience and specialises in passing it on to the next generation of the workforce. Using Peter’s business acumen and Ian’s expertise, they have set up what they are determined to make the country’s leading welding training and testing house, on Church Road in Stockton. Nordic, which was previously based in Darlington, already offered training in other fields and when Peter found out that Ian and a team of his senior colleagues were looking for a new opportunity, the idea of creating Nordic Engineering Training & Testing was born. The new venture was officially opened by Stockton Mayor Maurice Perry during a special event this week. “I was hugely impressed with their pedigree, experience and attitude,” says Peter, 58. “The engineering side of the business was new to Peter but I could see his passion for high-quality training and how he engaged with customers,” adds Ian. They identified premises at the former Speedy Hire depot, which has since been completely transformed with a near-£250,000 investment. It features 12 top specification bays that are 50% bigger than standard ones, each with LED lighting and state-of-the-art extraction facilities and kitted out for manual metal arc, TIG and MIG welding. Head of engineering sales Ian, head of engineering Kenny Williams, senior instructor Paul Mobberley and welding instructor Dave Swann have a total of 120 years of training and testing experience under their belts and are trusted names within Teesside’s engineering community. The firm has mobile Mechanical Joint Integrity (MJI) rigs that can go anywhere in the country. Nordic has delivered its own accredited one-day bolting course for London Tower Cranes among others, with London Underground next in line. They have also carried out testing for wind farms and are constantly looking for new opportunities. “I believe in wrapping ourselves around the client’s requirements and creating bespoke training for them,” says Peter. The graffiti side of the business continues to thrive, with major contracts all over the UK, but Nordic is establishing a growing reputation for its engineering services. Clients include Fabricom, Mobile Mini, Cleveland Containers, Francis Brown Engineering, Cleveland Potash and they have already tested more than 160 welders for Belgian company Smulders. They recently became an ECITB-approved training provider, an impressive achievement in such a short time. Nordic is holding a launch event on July 4 and inviting firms to come and see the facilities and services it can offer.